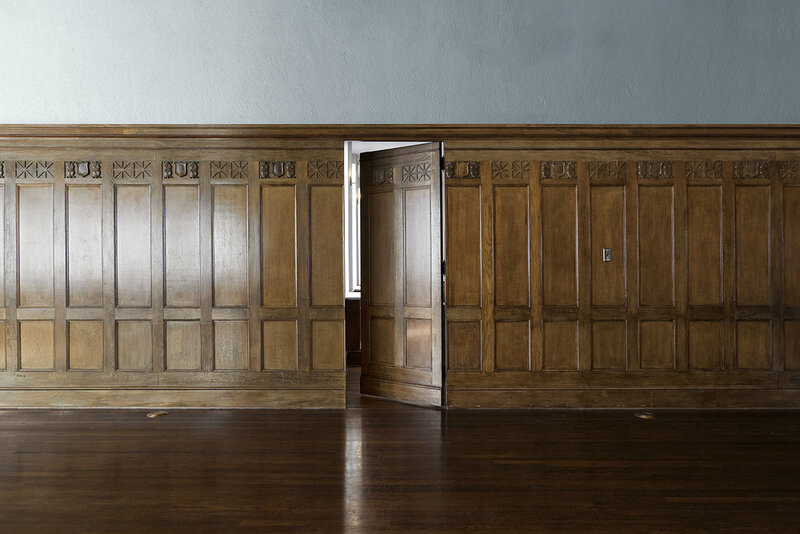 Before the Law is a series of photographs featuring courthouse doorways. 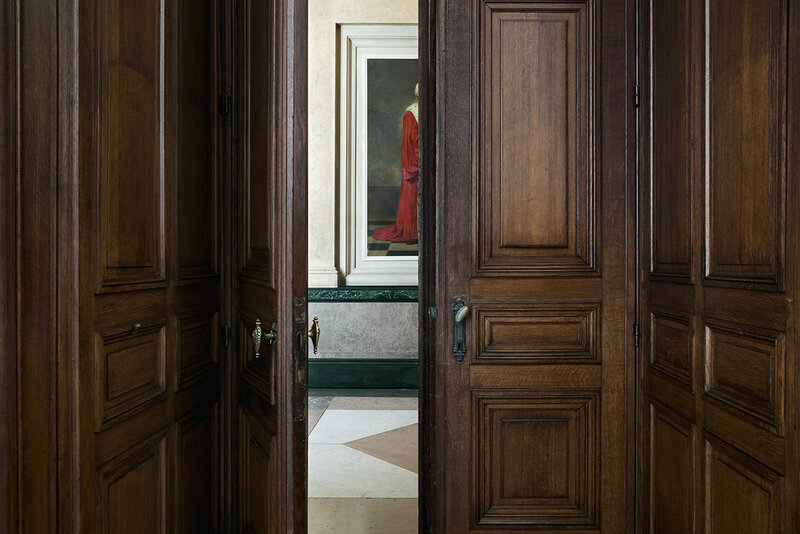 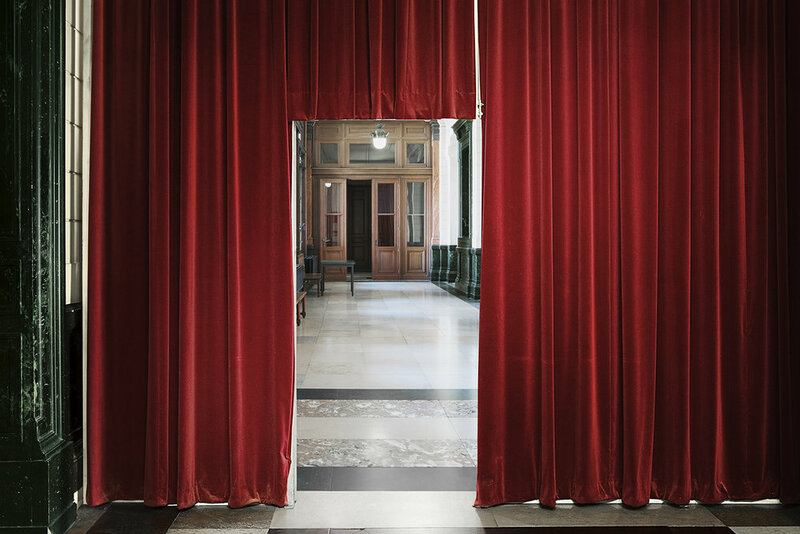 Named after Franz Kafka’s 1915 parable in which the protagonist is continuously denied access to ‘the law,’ the series depicts these these doorways as metaphors for the legal system itself. 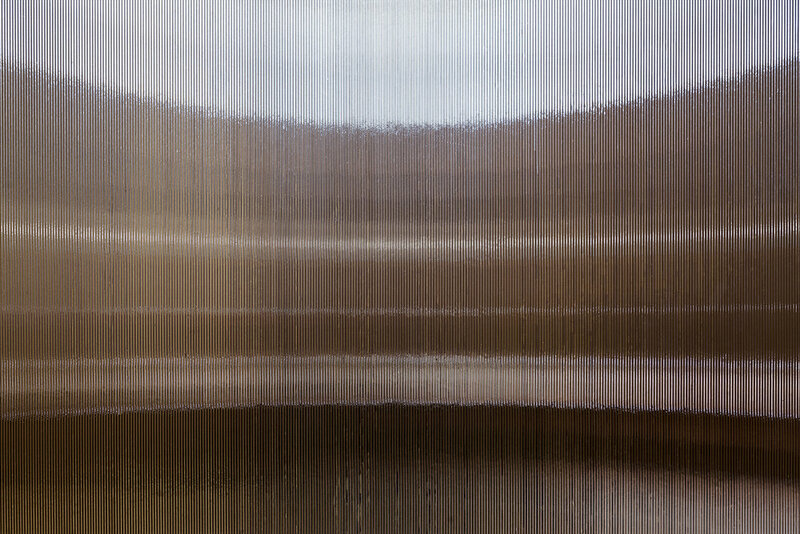 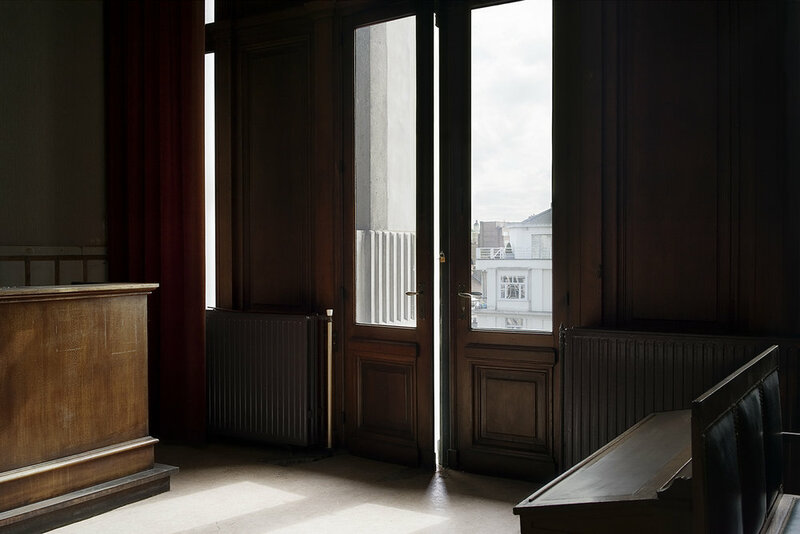 Courtrooms are glimpsed in various ways – a red glow emanating from one entices us with its surprising warmth and seductiveness; a red velvet curtain in another calls to mind law’s reliance on aspects of theatre; in a third, a courtroom visible through a frosted glass window glows like an abstract painting, as if law’s abstractions may connect with artistic thinking in ways which have not yet been fully considered.